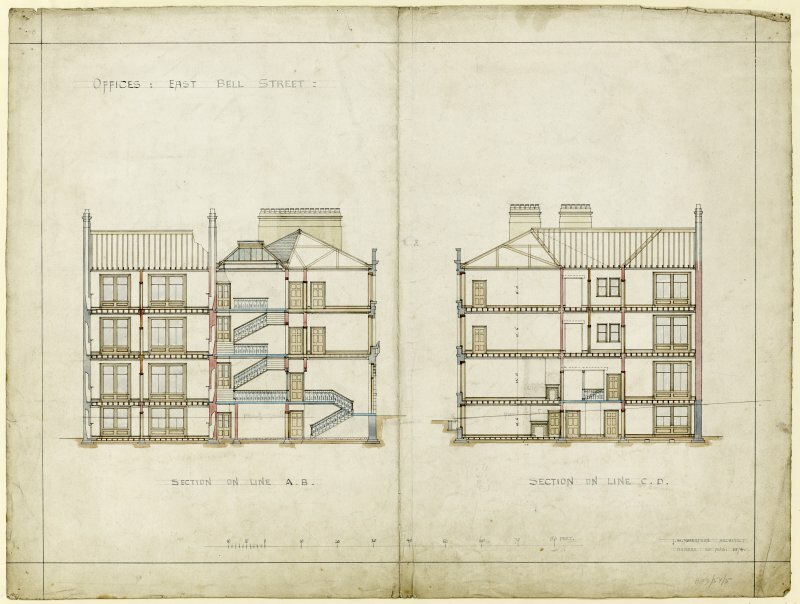 Drawing showing sections for offices, East Bell Street, Dundee. 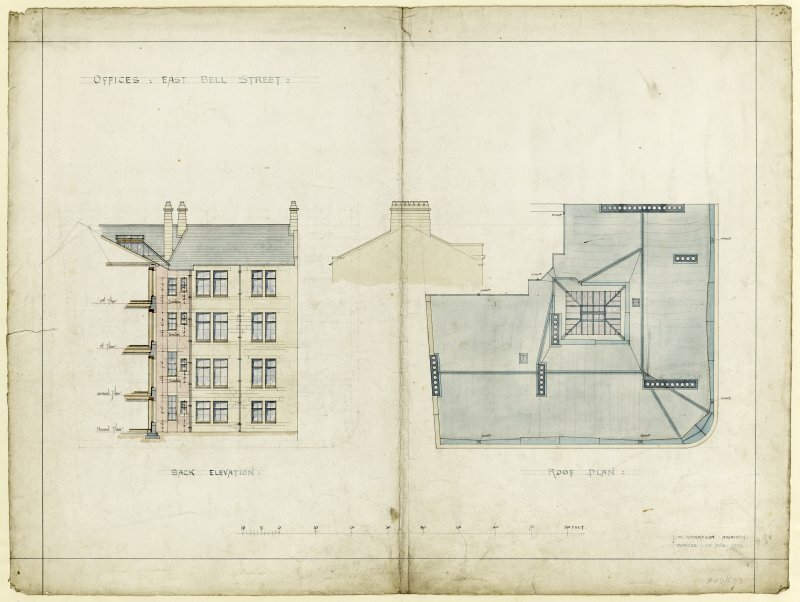 Drawing showing back elevation and roof plan for offices, East Bell Street, Dundee. 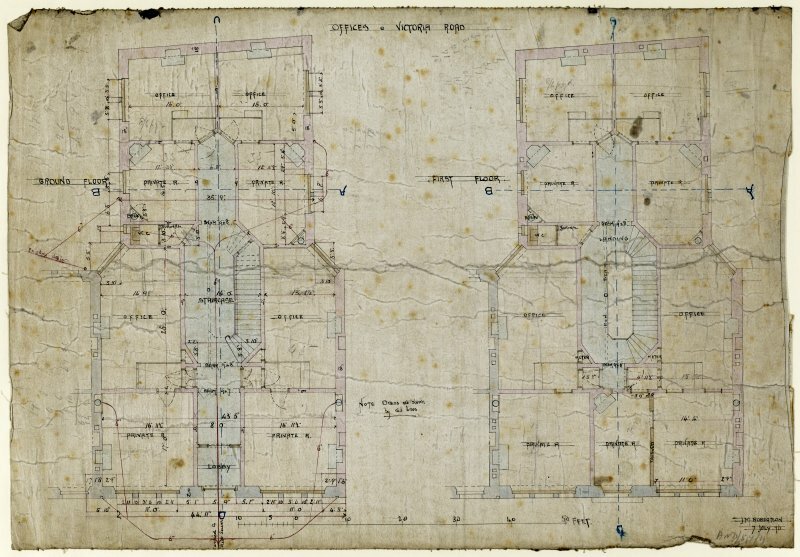 Drawing showing basement and second floor plans for offices, East Bell Street, Dundee. 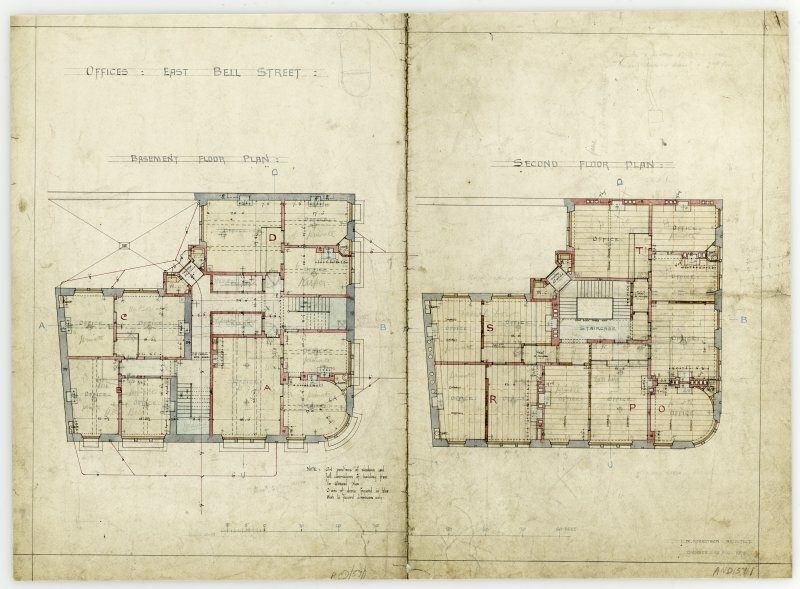 Drawing showing ground and first floor plans for offices, East Bell Street, Dundee. 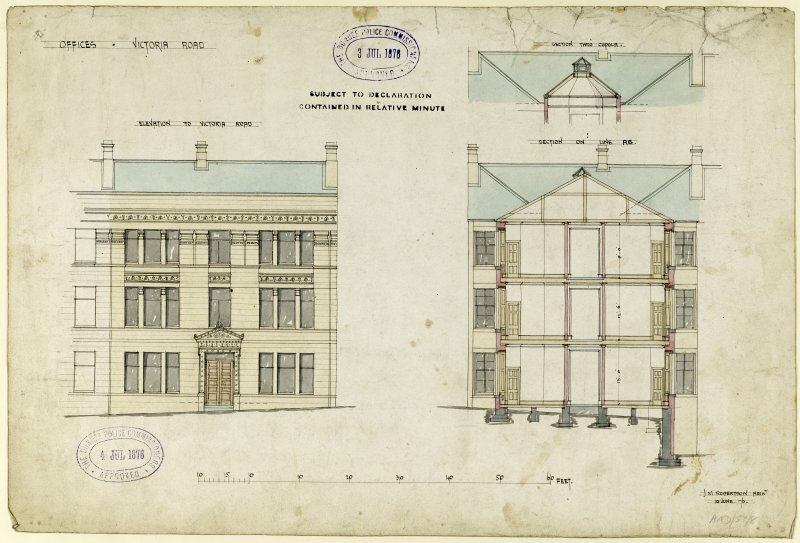 Drawing showing elevation and sections for offices, Victoria Road, Dundee. 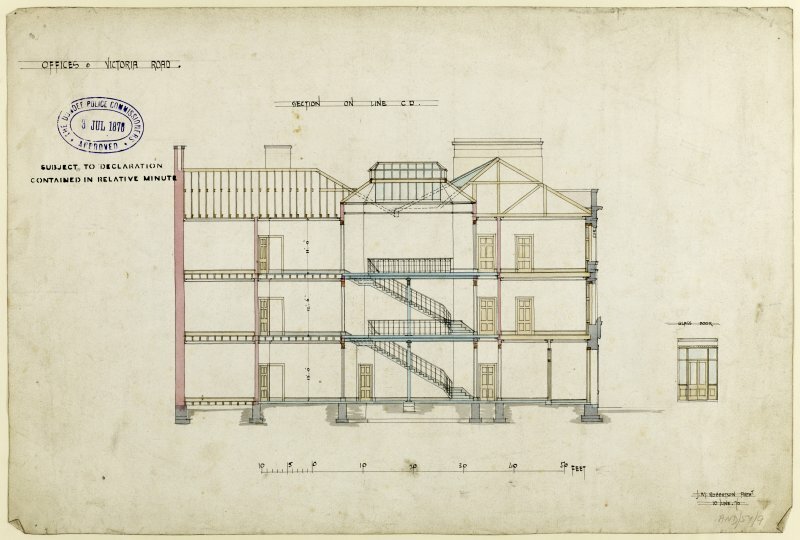 Drawing showing elevations for offices, East Bell Street, Dundee. 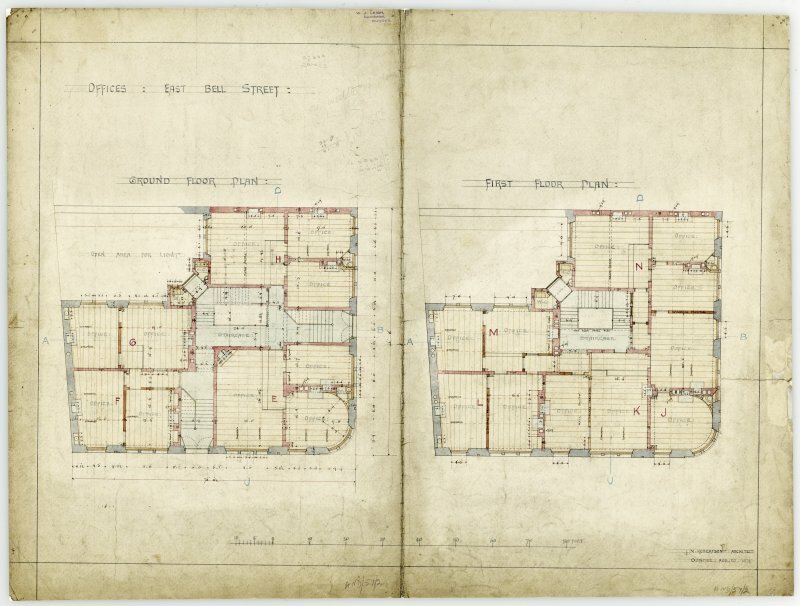 Drawing showing ground and first floor plans for offices, Victoria Road, Dundee. 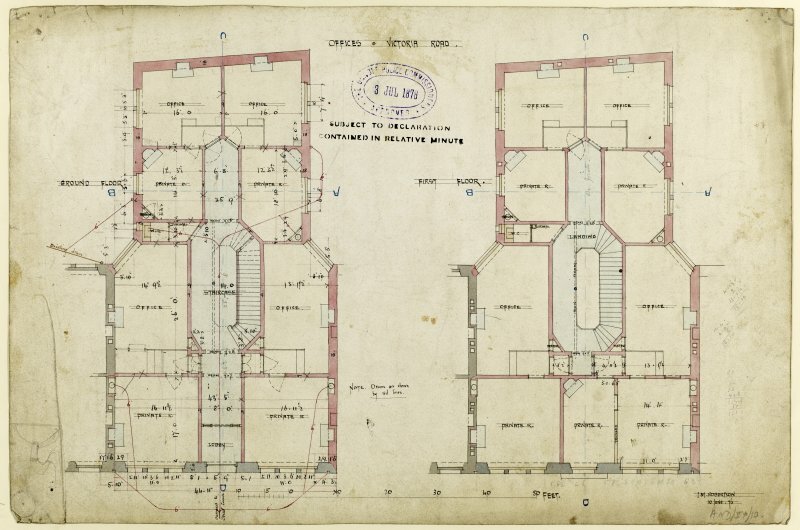 Drawing showing second floor and roof plans for offices, Victoria Road, Dundee. 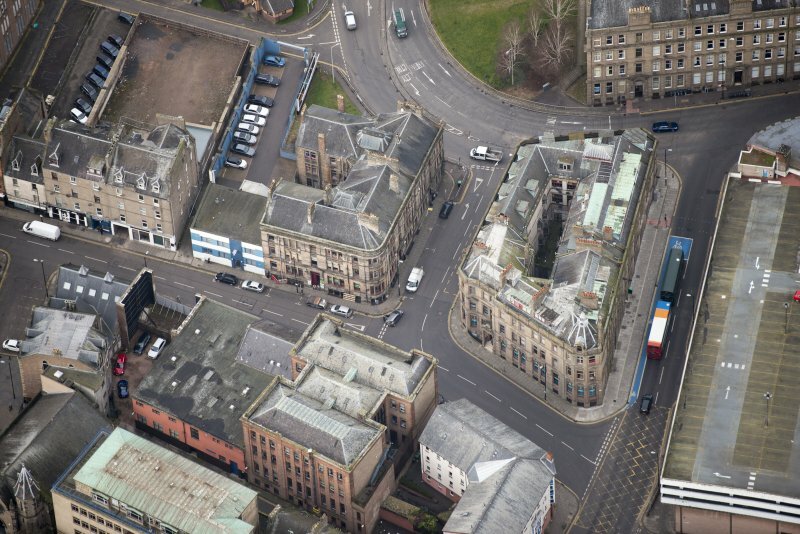 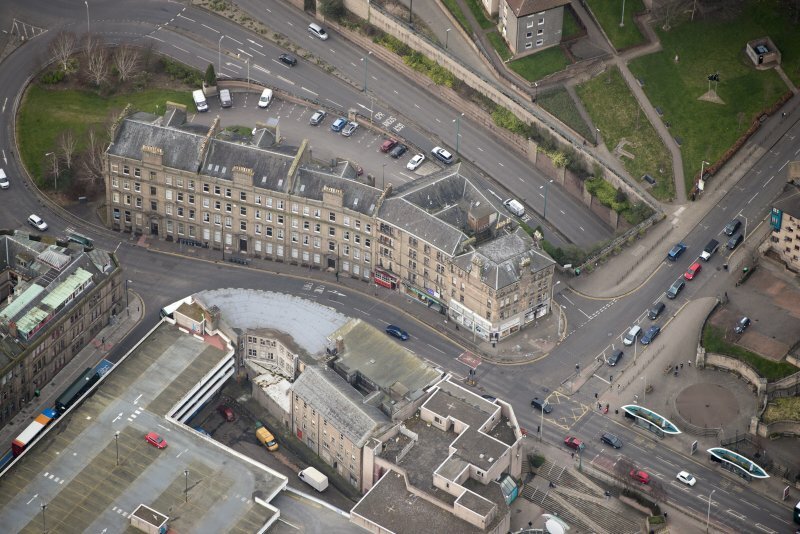 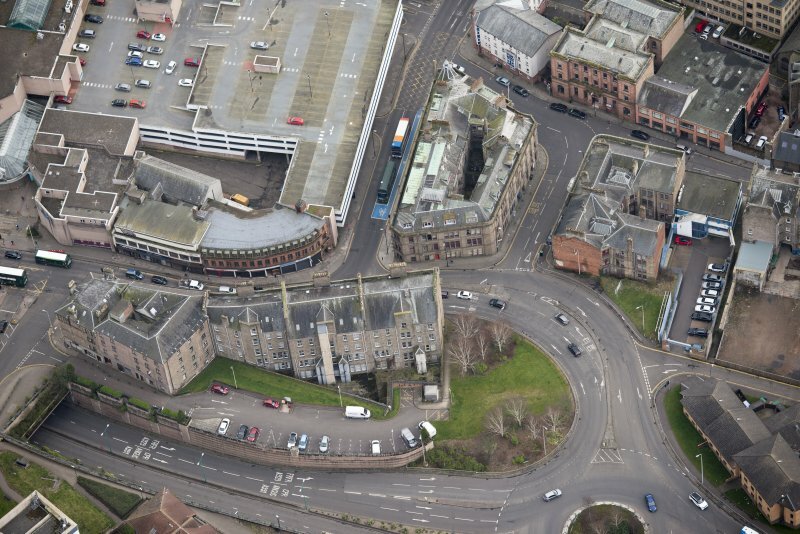 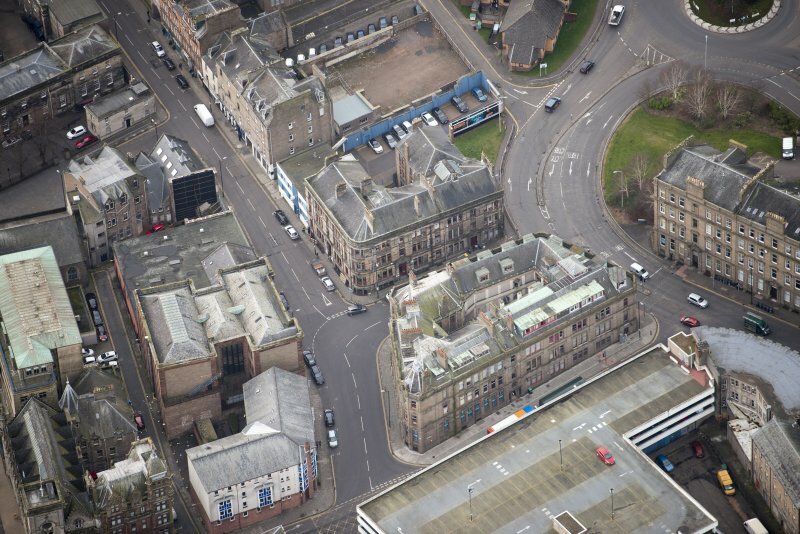 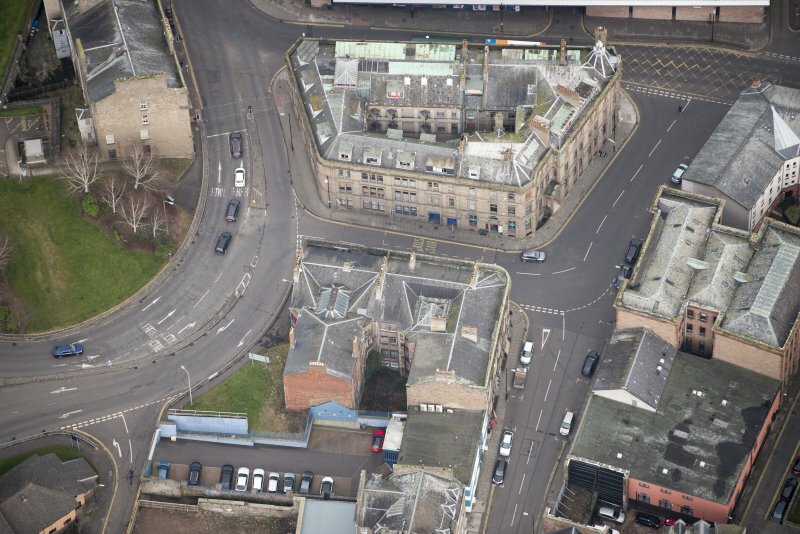 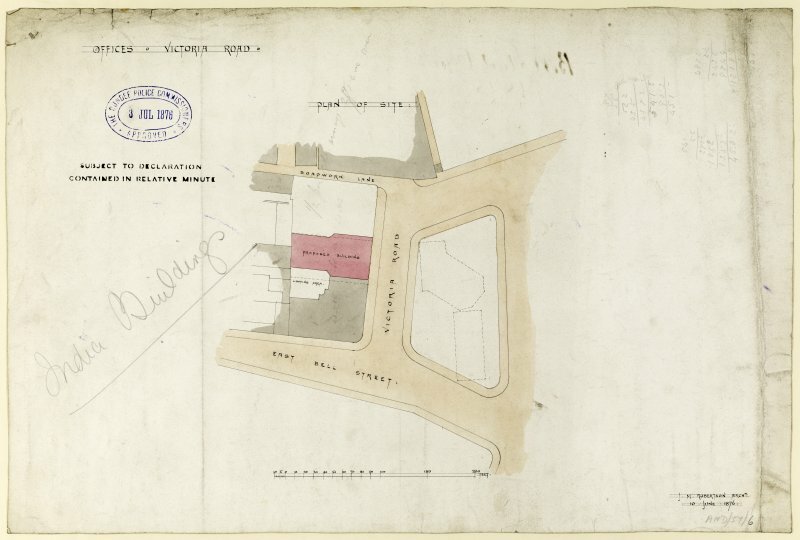 Drawing showing site plan for offices, Victoria Road, Dundee. 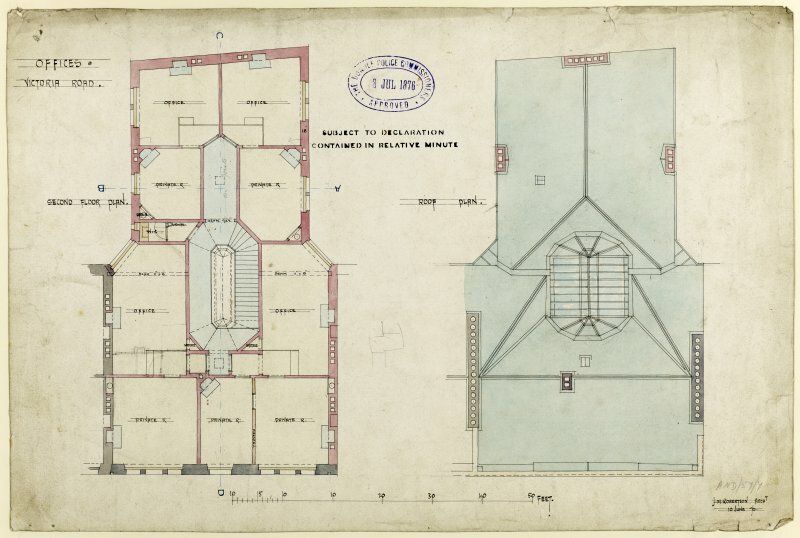 Drawing showing section for offices, Victoria Road, Dundee. 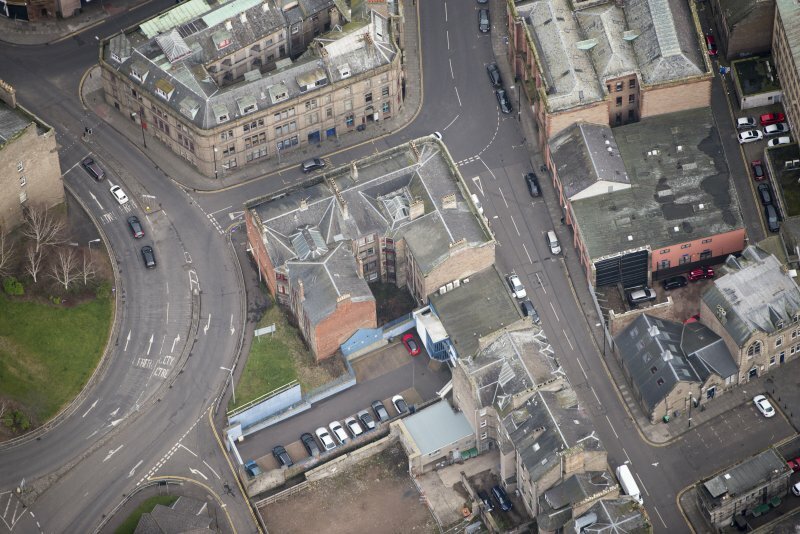 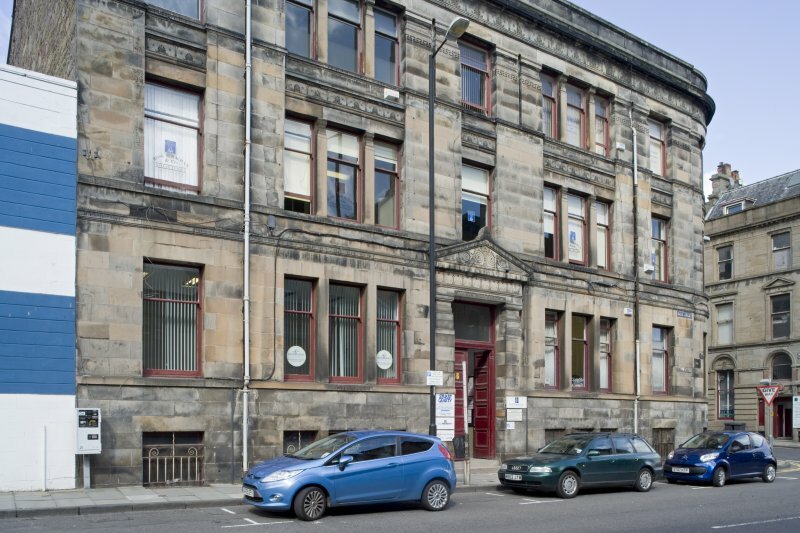 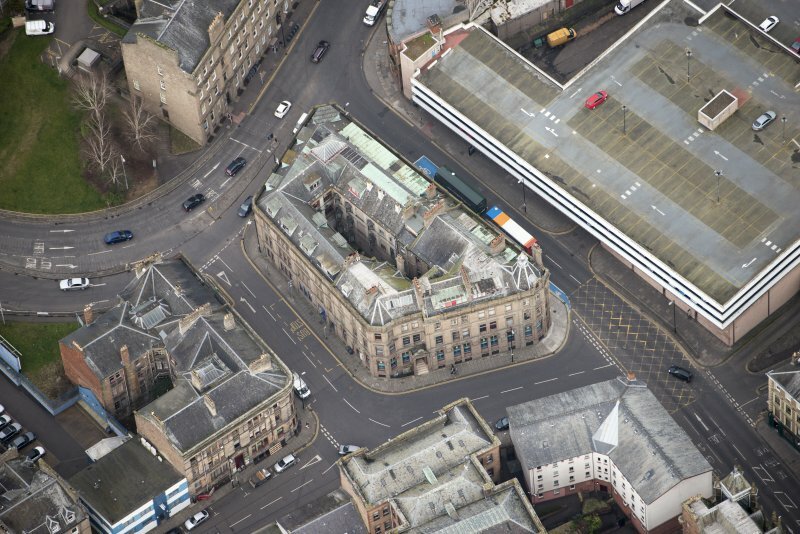 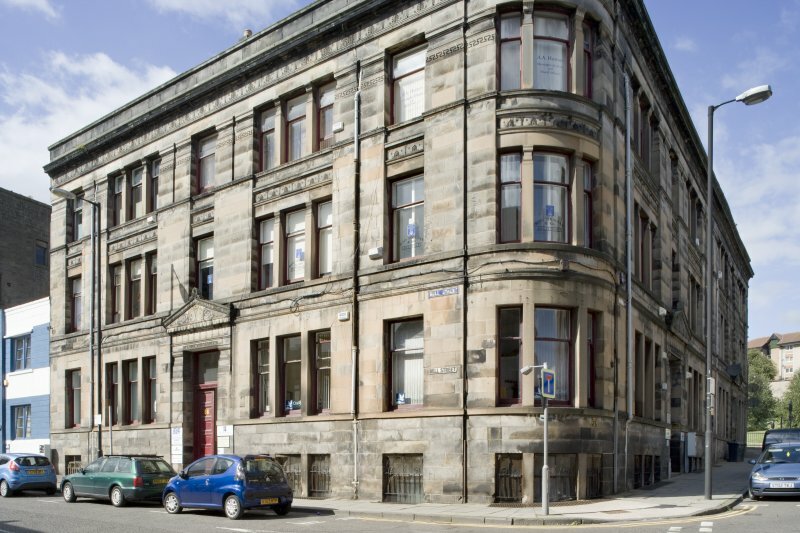 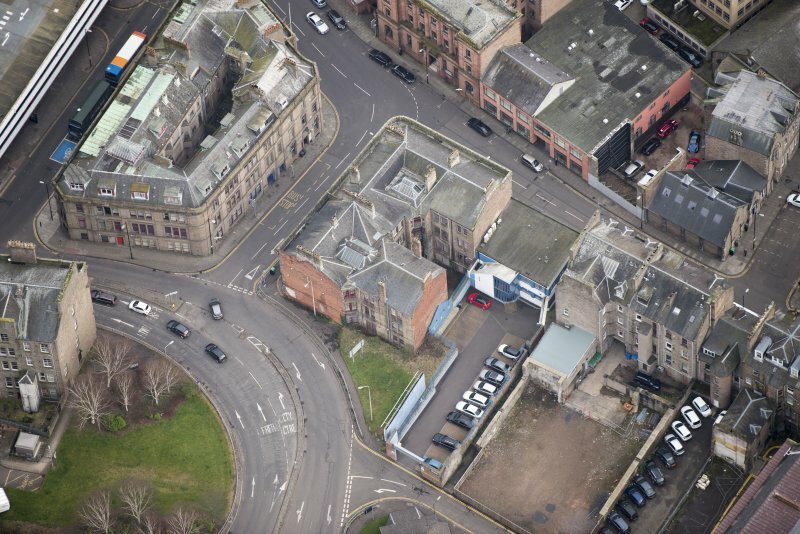 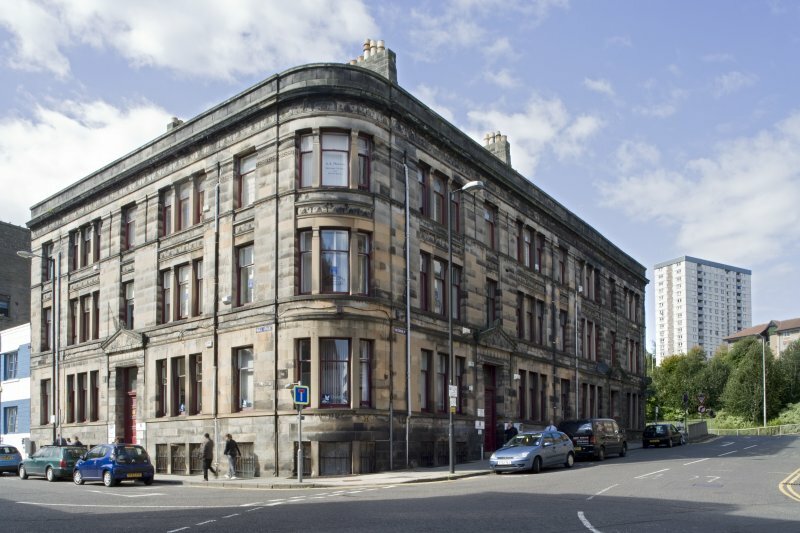 Corner site office block by John Murray Robertson (1876). 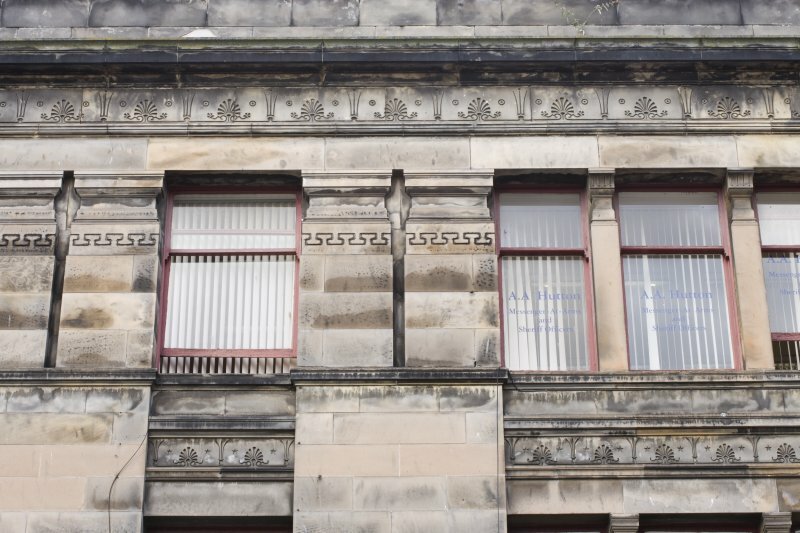 Carved decoration over entrance and windows is reminiscent of Alexander (Greek) Thomson in the use of slightly exotic classical motifs. 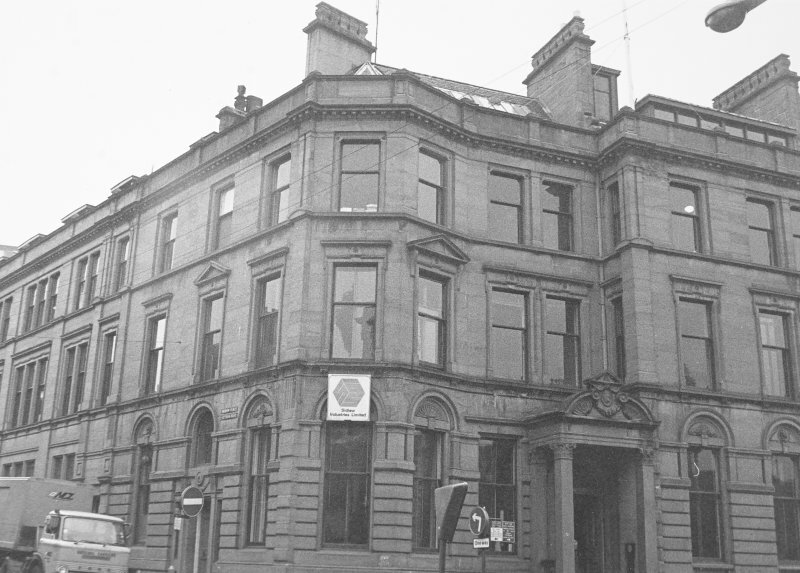 See also NO43SW 898 (4 Victoria Road). 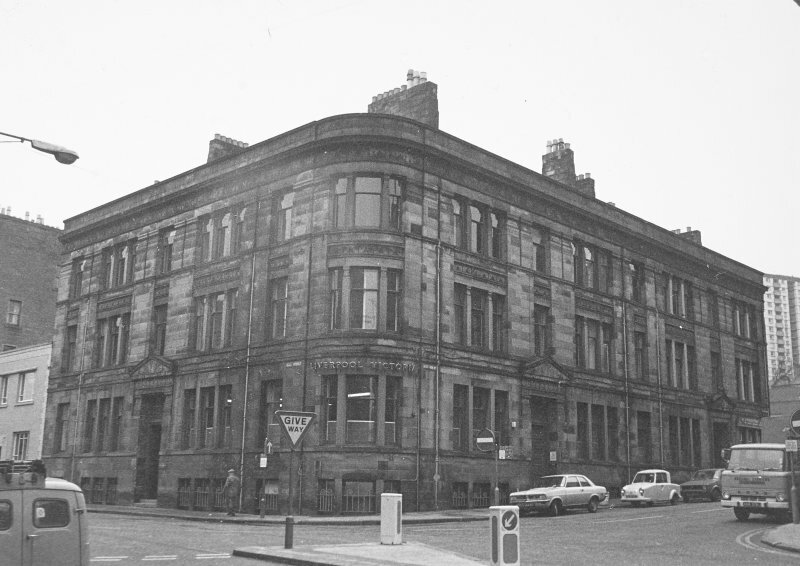 Deposited by H. P. Robbie of Finlay, Stewart & Robbie, 33 Albert Square, Dundee July 1966. 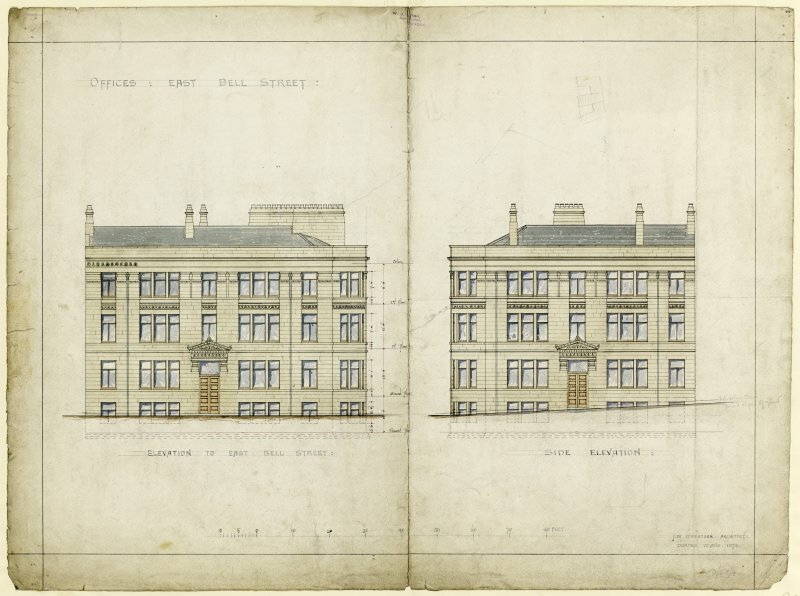 Design for offices on East Bell Street and Victoria Road, Dundee, by J M Robertson 1874-1876. 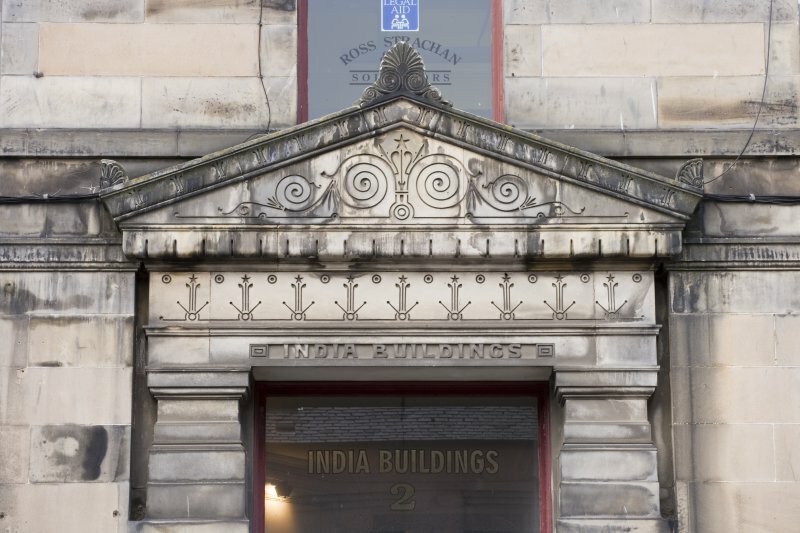 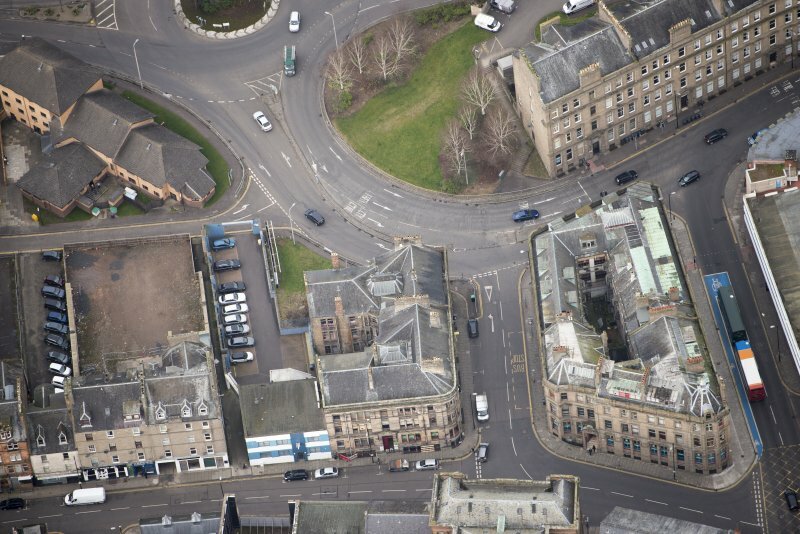 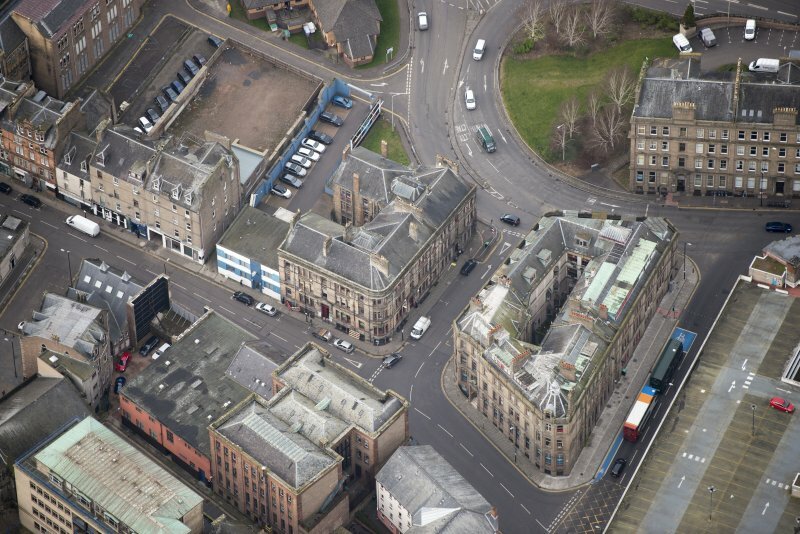 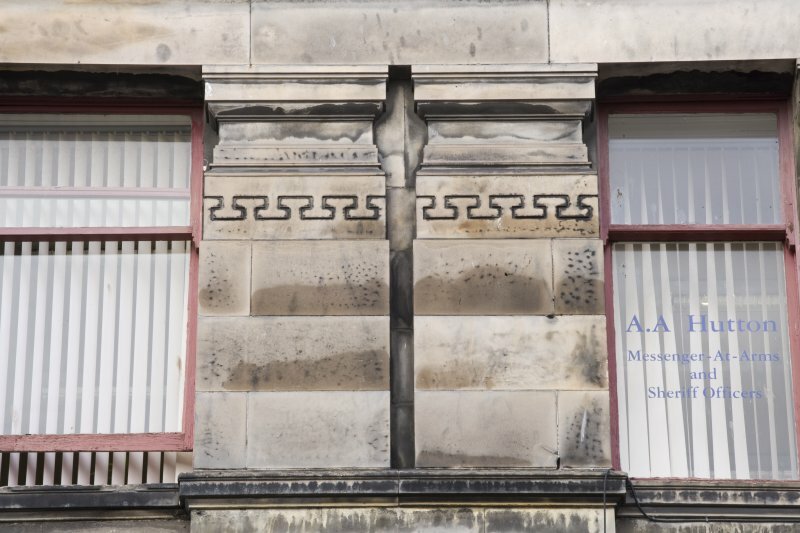 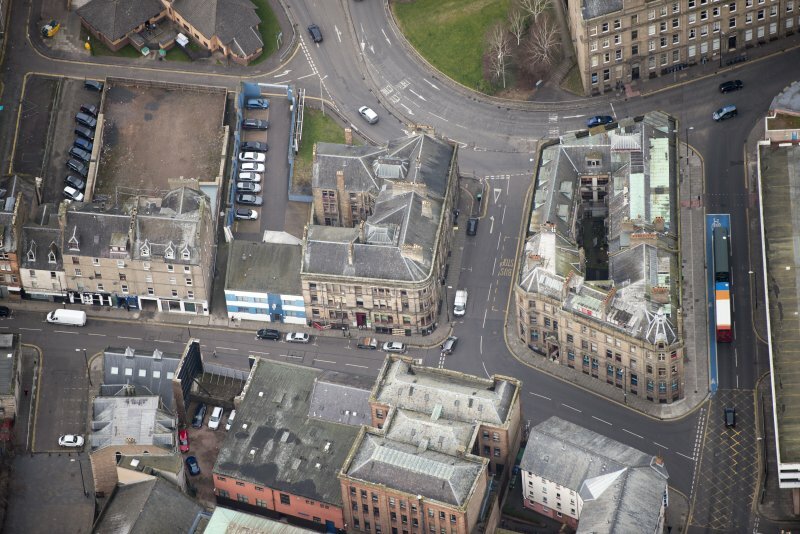 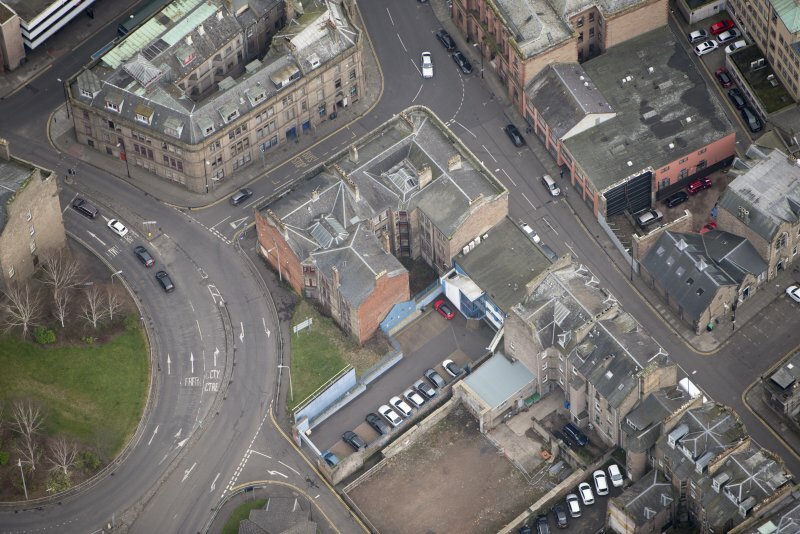 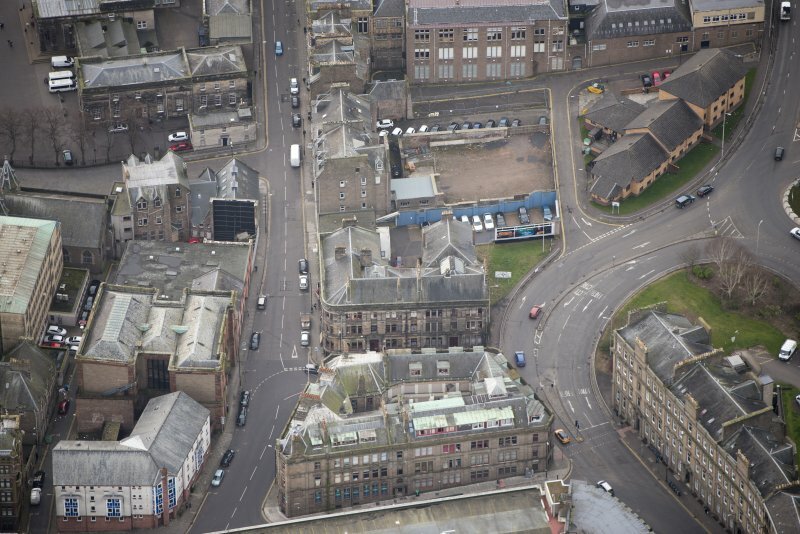 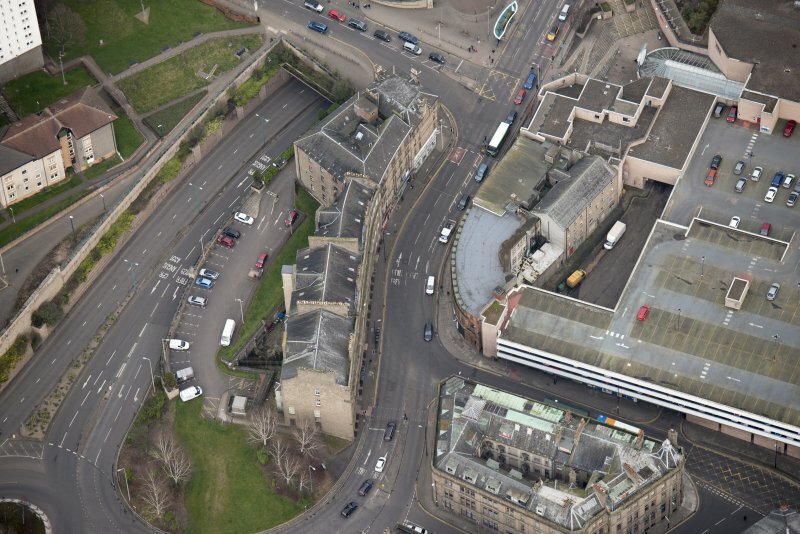 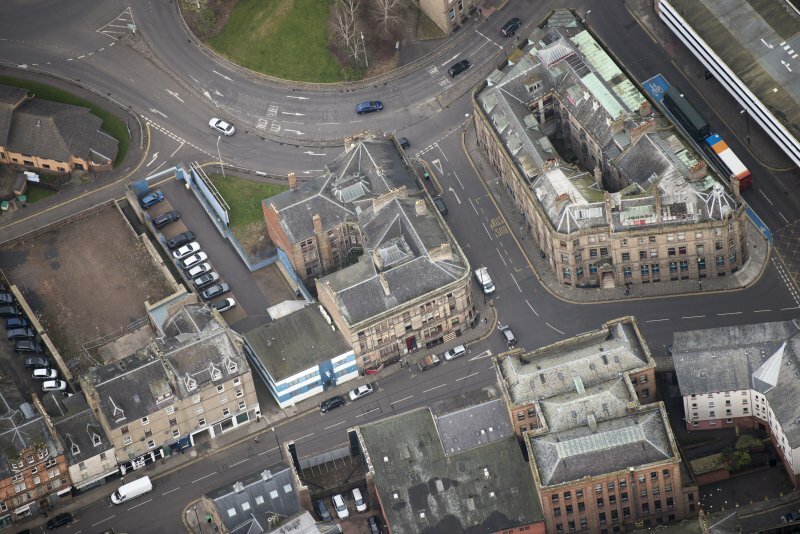 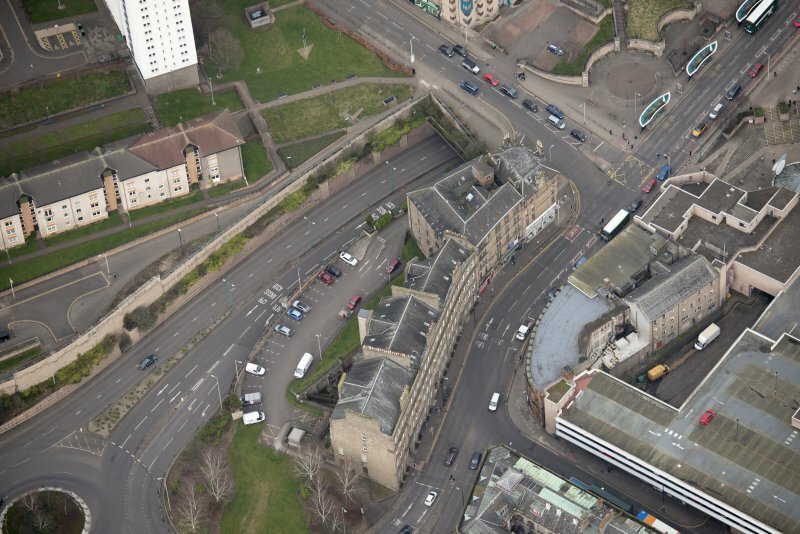 Photographed by RCAHMS on behalf of the Buildings of Scotland series.